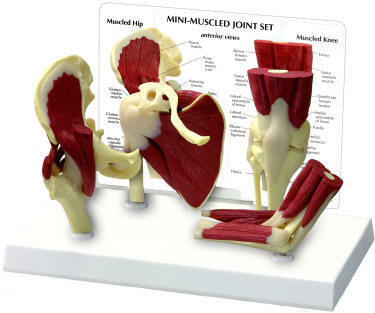 Has great models of functional joints. The same four joints but presented at one half size mounted together on a common base to reduce the size to easily fit on a desk. Please note that the elbow model does not contain the structure of the hand and wrist that are included with the full size model. 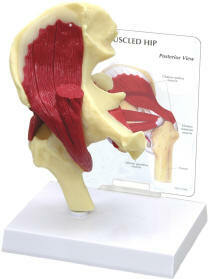 These high-quality functional models provide a graphic demonstration of the anatomy and mechanics of the major joints. 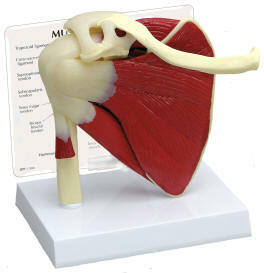 Use them to demonstrate abductions, anteversion, retroversion, internal and external rotation. The color of the natural-cast bones is extremely realistic. Each of these life-size models comes on its own base. Each of the models is also available individually. 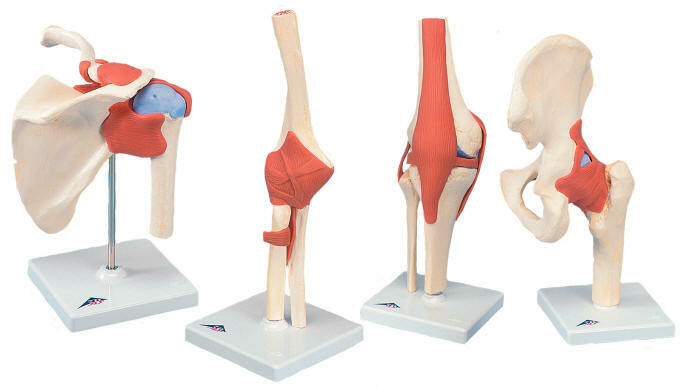 These high-quality life-size functional models of the right joints provide a graphic demonstration of the anatomy and mechanics. The color of the natural-cast bones is extremely realistic. Muscles are in natural color. The cartilage on the joint surfaces is marked in blue. 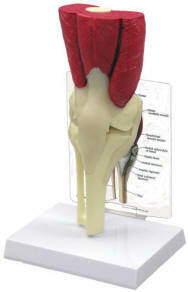 Set includes shoulder, elbow, hip and knee joints. All are fully functional and may be used to demonstrate abductions, anteversion, retroversion, internal and external rotation. All are also available individually. Each comes with its own base. Special flexible material that permits the joint to move naturally. However, all these models are half life-size. The small footprint makes them easy to display on your desk or bookshelf. Also more economical than the full-size models. Each comes with its own base. Also available individually.